This is part 2 of 2 of my interview with David Paulides. We dig in detail into the Missing 411 Phenomenon, mysterious disappearances in and around National Parks, hear about new cases, and try to weed out what makes sense in all of this. This week's guest is David Carr. David will be discussing the mystery of Coral Castle. He is working on a book that will encompass this subject and some others, and we briefly discuss that as well. 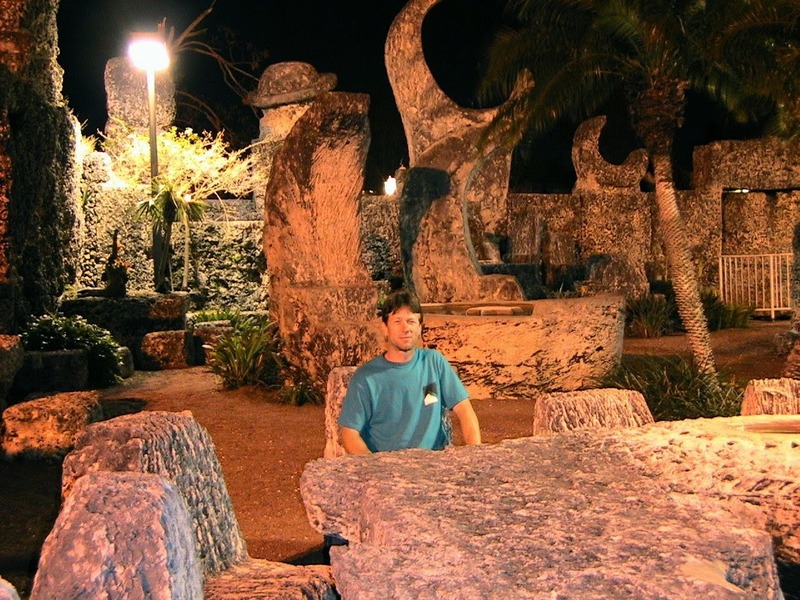 In David's words; While visiting Coral Castle, during the winter solstice of 2005, the intention was to investigate the entire site in search for any clues of how the building process was accomplished. The reason for the trip to Coral Castle, out of all the great sites in a reasonable distance, Edward Leedskalnin is the only person in our modern era to claim he knew how the pyramids in Egypt were built and left behind the evidence to prove it. Before the thought of visiting Coral Castle hours of online research was spent on Leedskalnin and the book he had written entitled Magnetic Current. At the time in 2005 there wasn't as much information available on the internet but whatever could be located was taken into consideration before the trip. There were quite a few theories on how he accomplished his mysterious building methods but no one has yet to actually demonstrate how it was done from beginning to end. Some have attempted on a smaller level but still to this day not one single person has accomplished the building feats on the scale of Coral Castle. This week's guest is Rick Waid. 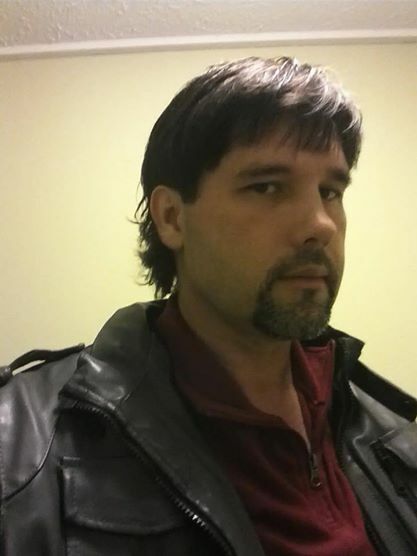 Rick's book is My Paranormal Journey, and we discuss the book, and where his journey has led him since. From his webiste, www.theseerrickwaid.com, "Rick Waid is a seer, remote viewer, and past-life reader. He was born with gifts that he did not realize he had until his late-30s. While Rick’s mother was also a reader, he did not become aware of his talents until he began researching the paranormal field. As Rick’s gifts progressed, he began to see past lives of individuals. He can also now connect with “the other side” and frequently receives messages from loved ones beyond the veil. We will have with us in studio this night, Melanie Zimmer, to talk about the weird history and folklore of New York State. We get into lost ruins and folklore of the Seneca Indians. We talk about the haunted locations around Upstate New York, and some of the weird stories and personalities that have contributed to the history of the region. Storyteller Melanie Zimmer has written four books on New York State lore:Central New York and the Finger Lakes Myths Legends and Lore,Forgotten Tales of New York, and Curiosities of Central New York, published by The History Press. 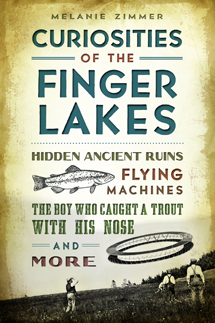 Her latest book is Curiosities of the Finger Lakes. Ms. Zimmer has been a storyteller for several decades and enjoys sharing and studying the folklore of the regions of New York State.